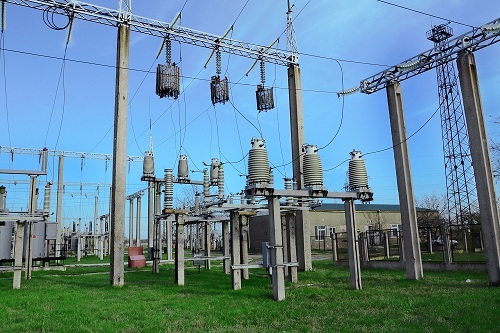 The Secrets of Transformer Oil Blending - ! Equipment for Transformer Oil Reclamation. GlobeCore. to determine the loss tangent of the mixture and base oils after they are exposed to artificial accelerated aging under the same conditions. It is assumed that the oil mix has passed the compatibility test if the dissipation factor, measured after aging the mix, is no more than that of the aged oil contained in operating equipment. The mixture that consists of fresh and regenerated oils is considered to have passed the test if its performance characteristics are not worse than the performance characteristics of each of the components. It is not recommended to mix oils intended for circuit breakers with transformer oils if the future mixture will be used in other equipment. If the oil’s performance characteristics (acid number, water-soluble acids content, and loss tangent) are above the acceptable level and such oil is considered to be unfit for use. At that point the should be regenerated or replaced prior to removing old oil residue and oil aging bi-products from the solid insulation. Trying to perform the procedures listed above separately however, may result in the loss of time and prolonged downtime of equipment. GlobeCore therefore, has developed a unique technology that allows for transformer oil regeneration on energized transformers. Contaminated oil is circulated through the unit where its performance characteristics are restored to its original condition. The purified oil then flows back to the transformer to wash out contaminants and products of aging from the solid insulation. With such a process, not only is the liquid insulation completely regenerated, but also the solid insulation is completely purged of contaminants. The impurities that have been washed out are adsorbed by a special Fuller’s Earth sorbent material. Fuller’s Earth is a naturally occurring material that can be reactivated which means that its performance characteristics may be also restored during the transformer oil reclamation process that allows for continuous processing without stopping to remove and re-load the sorbent materials. There is no need to dispose of contaminated Fuller’s Earth that is beneficial to the environment and reduces labor and operating costs. GlobeCore’s technologies are very eco-friendly, cost-efficient and are able to solve even the most difficult tasks. It is inpermissible to mix uninhibited oils that were produced in the countries of the former Commonwealth of Independent States (CIS) and are still in service, with fresh inhibited oils without adding ionol if this mixture is going to be applied in the power transformers. The amount of ionol should constitute about .25% of the total weight of the mixture. Then it is tested to evaluate the oxidation stability that will be higher than the stability of the uninhibited oil. The problem of the transformer oil mixing is very complex and no universal cost effective solutions to this problem have been found yet.